In recognition of World Food Day, October 16th, Food for Thought is asking all the school children of Providenciales, from age 5-19, to use their imagination to create a poster that illustrates their idea of Zero Hunger. In order to enter the contest, the poster must be submitted by October 12th. The students would need to include their name, name of their school and their age. 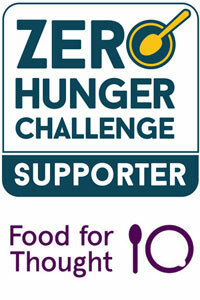 The winners will be announced on World Food Day, October 16th and receive a lovely prize from Food for Thought! Some classes may be doing the poster in class, others may have it set for homework. Families are encouraged to check out class noticeboards or to ask their child’s teacher for details. In addition, the winners will also have the opportunity to participate in the Food and Agriculture Organisation (FAO) World Poster Contest, which will be announcing their winner in December. They would be promoted by FAO offices around the world and receive a surprise gift bag and Certificate of Recognition if they are selected. They will also be featured in an exhibition at FAO headquarters in Rome. Prior to World Food Day, Food For Thought will also be holding a large food drive for the families in need in Providenciales. Please look out for details on when to bring donations into school from our School Council, who will be helping to co-ordinate the collection. A warm welcome to our new School Council. Congratulations for being chosen to represent your classes and your school. Thank you to ALL the students who put themselves forward for election. Every teacher commented on how well you represented yourselves, you should be very proud of having the courage and enthusiasm to have ‘had a go’! Well done! In our first meetings, we have already been busy talking about adjusting the playtime schedule as well as revisiting and reminding us all about trying to use metal and reusable cutlery and NO to STRAWS! We have also been talking about more ways in which we can keep our school environment cleaner and more litter free. Any ideas – please let your Councillor know. This month the School Council have had quite a busy schedule. 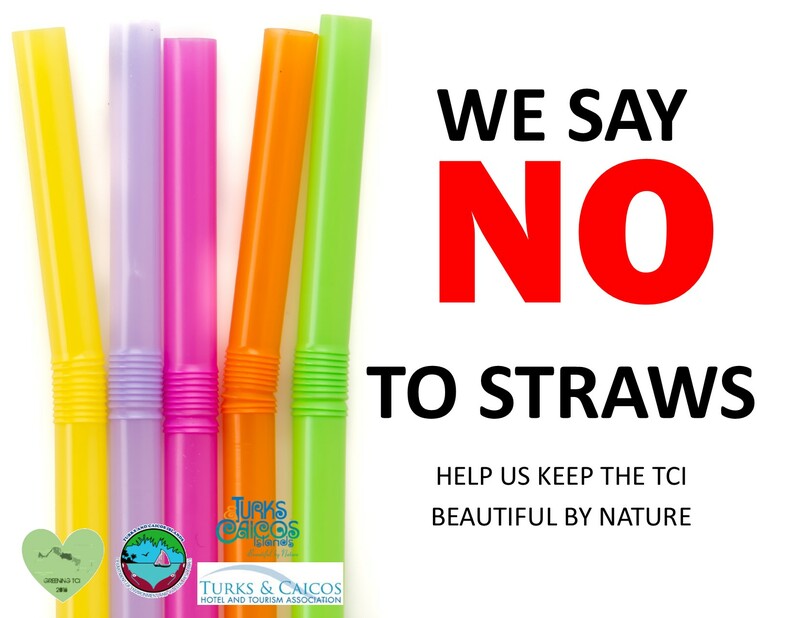 They helped organise getting the message of WE SAY ‘NO TO STRAWS’ out. 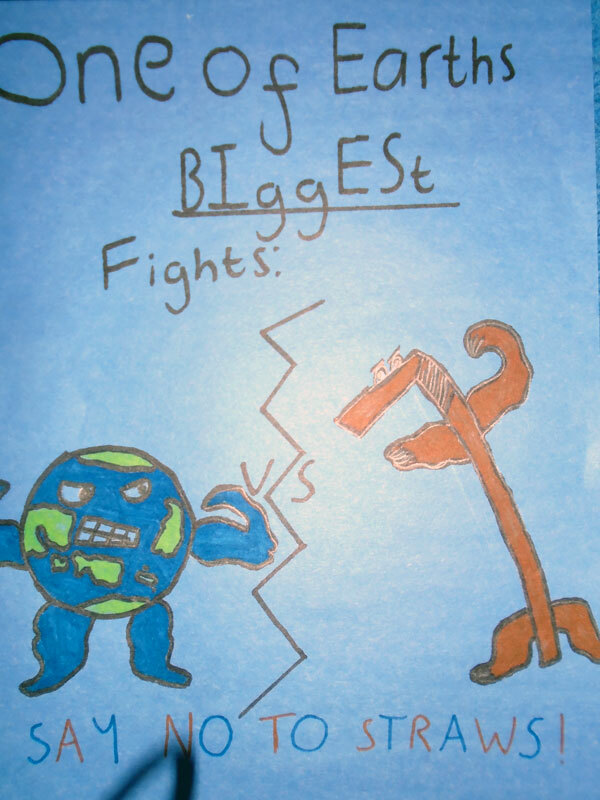 We had a poster competition, made cards for our lunch boxes to remind us NOT to use straws, we even made a card to take out with us to show how proud we are of not using straws in cafes and restaurants. 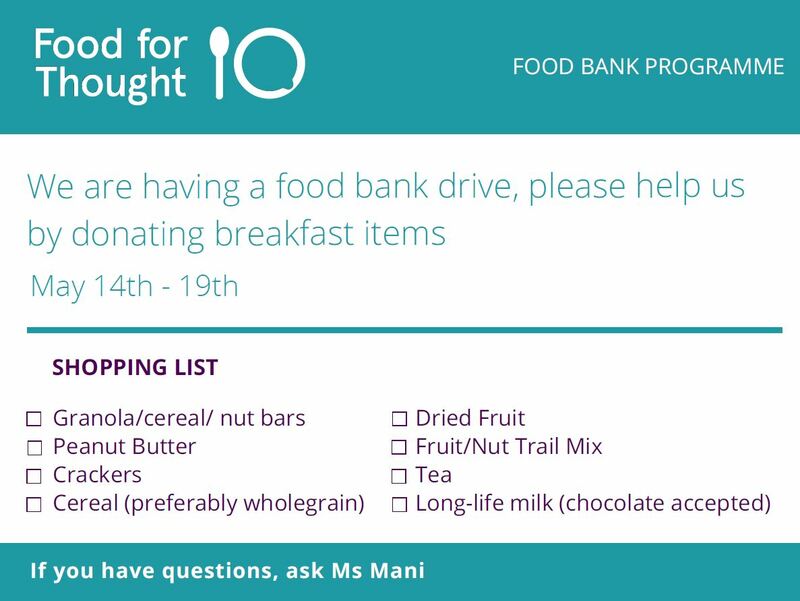 We were also asked to participate in the ‘Food for Thought’ campaign – a very worthy cause that provides Breakfast Boxes to schools where students in need, can go to get something to eat. Thank you to everyone that participated in bringing something to fill up those big blue boxes. Super donations where made by all. Wonderful to think that we have helped other children on this island get to eat a hearty breakfast. THANK YOU. To end the month of busy-i-ness. This month’s decided Dress Down Day became a bit of a challenge. Each class was asked to decide on a ‘secret theme’ whereby, on the day, everyone had to try to guess what each classes chosen theme was? ‘Teacher/Student Dress Swap Day’ – it was so fun! A great day was had by all on the last Friday of this month, as the Provo Primary School Council had decided to do a ‘Teacher/Student Dress Swap Day’. It was fabulous to see how everyone (teachers included) participated in the fun. Many laughs and giggles were heard throughout the day and there were some astonishing ‘similarities’ between students and teacher impersonations! One of the most amusing parts of the day was when the Year 6 students presented our Celebration Assembly – taking on the roles of the Principal all the teachers, and giving out awards. Great job Year 6. In fact, GREAT JOB to everyone for making it such a fun day! Santa delivers some special books to our friends on South. 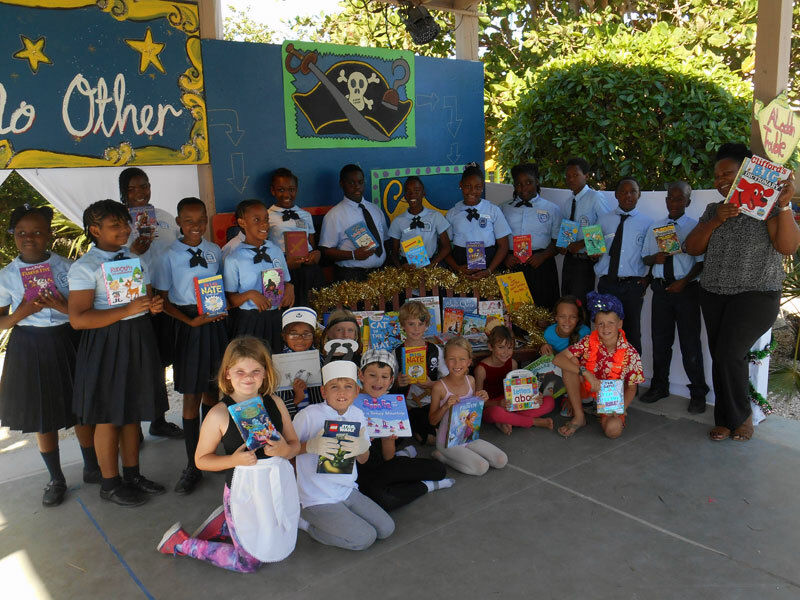 A HUGE thank you to everyone who donated books for our Pen Pal Schools on South Caicos, Calvery Christian School and Iris Stubbs Primary School. Altogether we donated 12 big boxes of books – the kindness of our children is quite overwhelming. Earlier today, Santa flew over to South with his two elf helpers from Year 5, Miss Laranda and PPPA rep, Kelsey, to deliver the books. Looking at the first photo we’ve seen, it certainly looks like it has been a fun time. We look forward to seeing more photos and hearing more news about their special delivery on their return! We decided to collect books when we were sad to hear that many of the schools’ books had been damaged by the Hurricanes. The children looked on their own bookshelves and choose books that they had enjoyed that they thought others would too. Thank you everyone. Thank you Santa for taking time out of your busy pre-Christmas preparations to help us, and thank you to Sail Rock for helping us with transporting everyone, and all the boxes, over to South. 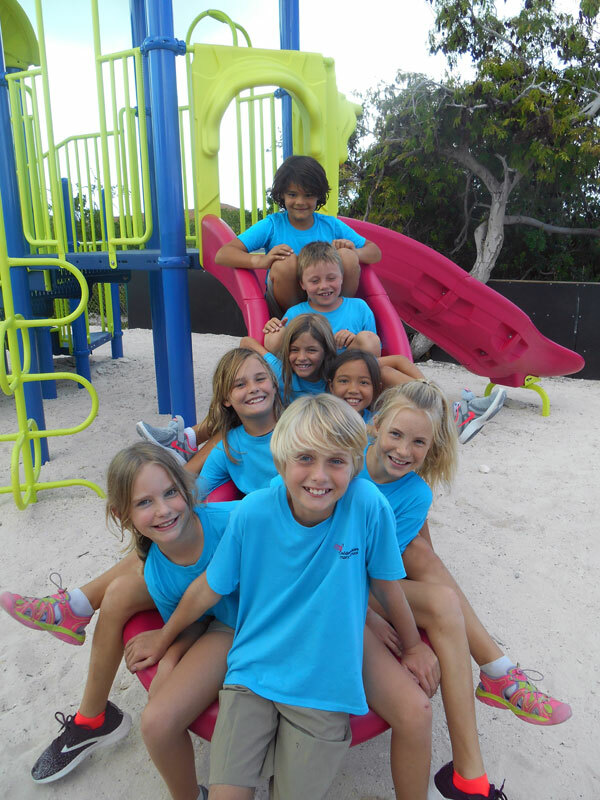 Recently, we the Provo Primary School School Council had a super smashing time in South Caicos. 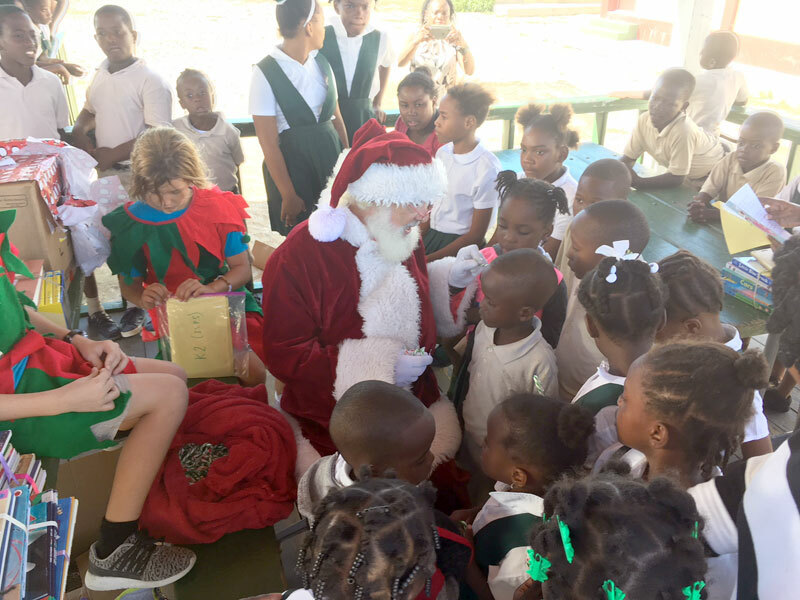 The main purpose of our trip was to visit two schools that had been hit quite hard by Hurricanes Irma and Maria – The Calvary Christian School and The Iris Stubbs Primary School. At school, we had been shown photos of the devastation that had occurred to the classrooms and school buildings. Having seen the damage, we wanted to help in some way. We wanted to connect with the children and offer a hand of friendship from one school to another. So, it was decided that we would start a penpal outreach programme with the two schools. A BIG, BIG thank YOU and a HUGE well done to all student, parents, teachers and friends of Provo Primary. 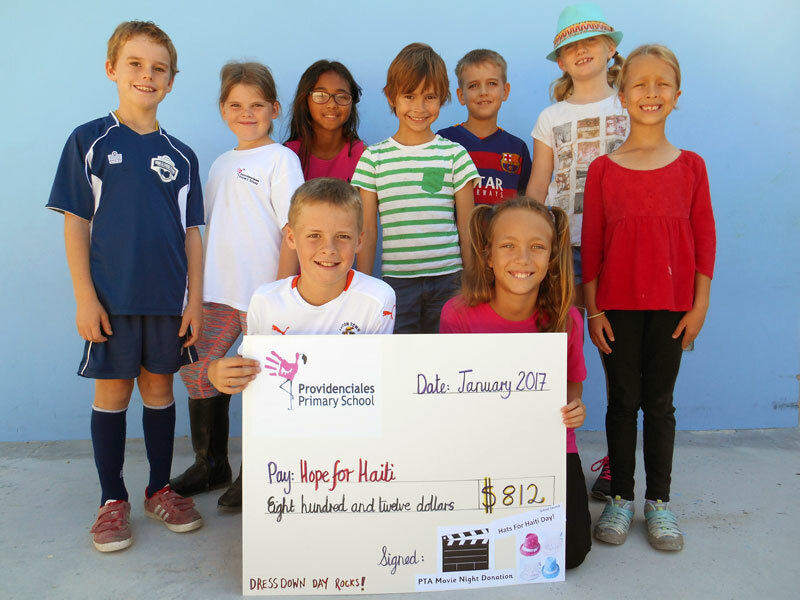 Through the PTA Movie Night ($638) and the School Council Hats for Haiti Dress Down Day ($174), we have managed to raise a staggering $812. How fantastic is that! It goes to show what wonderful things we can achieve when working together to help others. Every last Friday of the month is ‘Dress Down Day’. Funds that we raise are passed on to the school council to decide how to use. Funds that are raised in Term 1 are allocated to a global need, Term 2 a local need and Term 3 a school need. There was much debate as to where the Term 1 funds would go. Where could we as a school help make a difference? Usually we help charities that support children, but an older member of the School Council suggested helping animals and this created a buzz of interest. Class discussions took place, research began and we discovered the animal charity called Born Free. Contact was made and we discovered that we had raised enough funds for each class from Years 2 to 6 to adopt an animal, from the wild, for a whole year. Students from Ianthe Pratt School visited Provo Primary this morning. Together with the students from the Middle School, they became our first outside audience to experience our school Christmas performance of ‘A Panto Like No Other’ – hence some of the outfits in the photos! They did say they enjoyed the performance very much; however the excitement and smiles of the students of Ianthe Pratt grew even more when they saw the gift of books that were being presented to them after the show by our School Council. The students could not quite believe that all the books were for them, they were so utterly delighted and could not wait to read them! A BIG thank you to the P.T.A. for encouraging parents to buy an extra book with their Scholastic order, and also to the children who bought in their own book donations. The P.T.A. also gave a $300 Scholastic budget to the teachers at Ianthe Pratt and they ordered additional books and teaching resources as well. Altogether there were four big boxes of books for them to take back to their school. How wonderful it is to share and see the love of reading. Merry Christmas to you all at Ianthe Pratt School. All there is to say is that we are truly truly thankful for all of your donations. 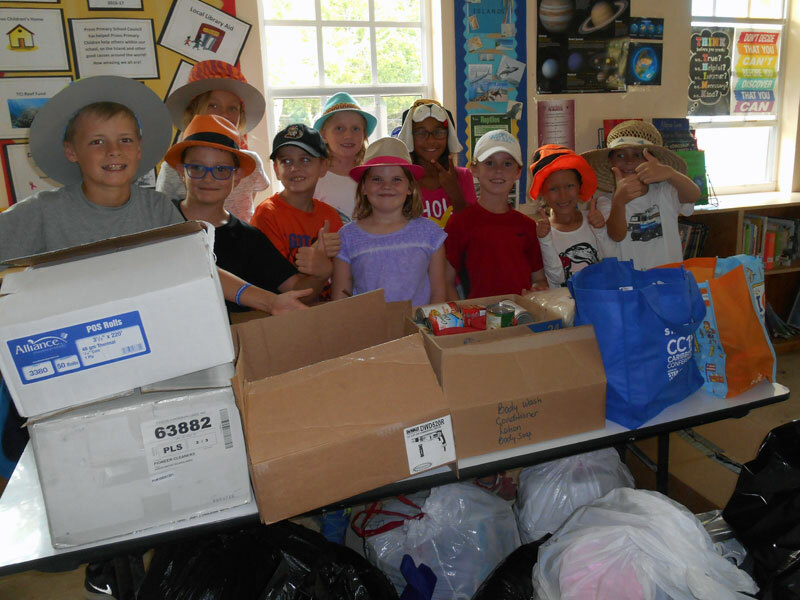 Whether it was a gift of clothing, food, bedding, shoes and toiletries and/or a dollar to wear a ‘Hat for Haiti’ on our Dress Down Day. 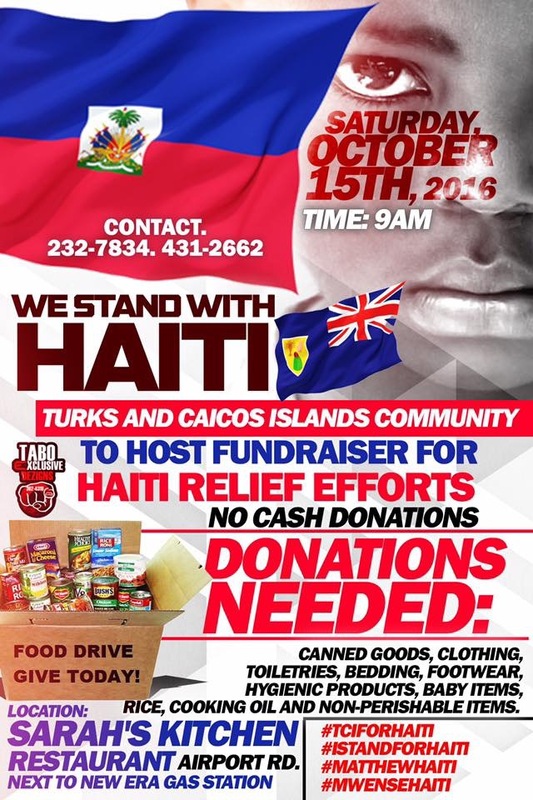 All and everything will go towards helping the people worst hit by hurricane Matthew in Haiti. Well done to the School Council for publicizing, collecting and loading the collection vehicle – YOU made it happen! Provo Primary School Council are collecting to assist the Haiti hurricane Matthew relief efforts. Things we need: Dry non-perishable foods; Canned goods, Clothing, Toiletries, Footwear, Baby Items and Bedding. Bring your donations into school and we will sort and box them up and deliver them to the Haiti Relief Organization. Community donations welcome. All donations in by: Next week – Friday 21st October. 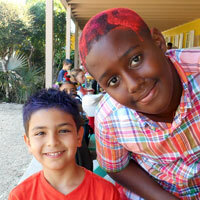 Our final Dress Down this half term on Friday 31st will also be related to this cause – ‘Hats for Haiti’. Wear any hat to school for $1 – more information will follow. It has been yet another successful and amazing turn out of students who are willing to donate their time, skills and ideas to becoming a School Councilor. Teacher feedback within the school, with regards to how the children presented themselves forward as candidates, was very, very positive. Therefore, a huge WELL DONE to every single one of you who participated in the elections this year. It really is great to see so much enthusiasm and interest in trying to make things better, not only for us in the school, and on our island, but also for the world around us. During our first meeting this year we talked about how much the School Council has achieved in the past – take a look at the photos below and scan through our School Council blog posts. We also discussed some ideas of what we could achieve this year. Details of future plans are to follow once we get the ball rolling. So keep a look out on this blog and see what wonders we will achieve this year. Last term each of our School Council members participated in a First Aid Course devised especially for children, by the British Red Cross. 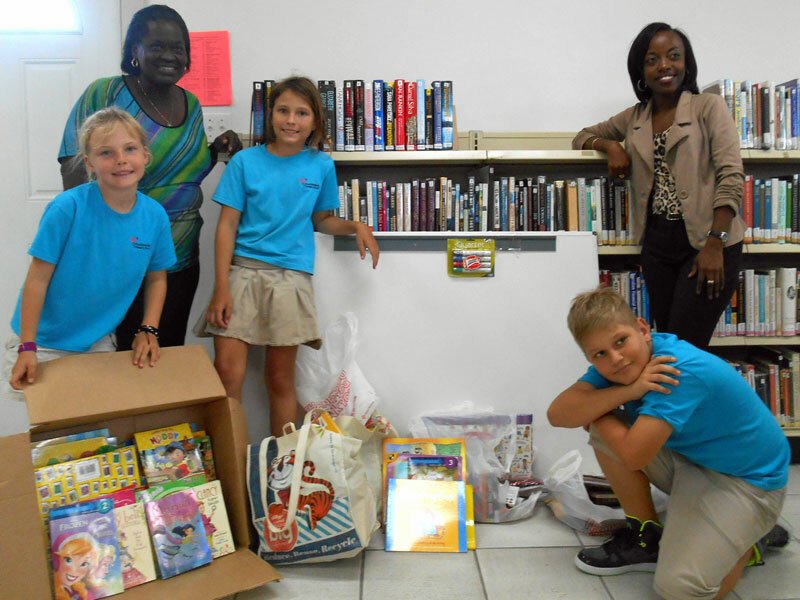 Book donations and the purchase of library resources were also bought and presented to the Public Library. Find out more about these two projects and do check out some of the photo to see our wonderful School Councillors at work! 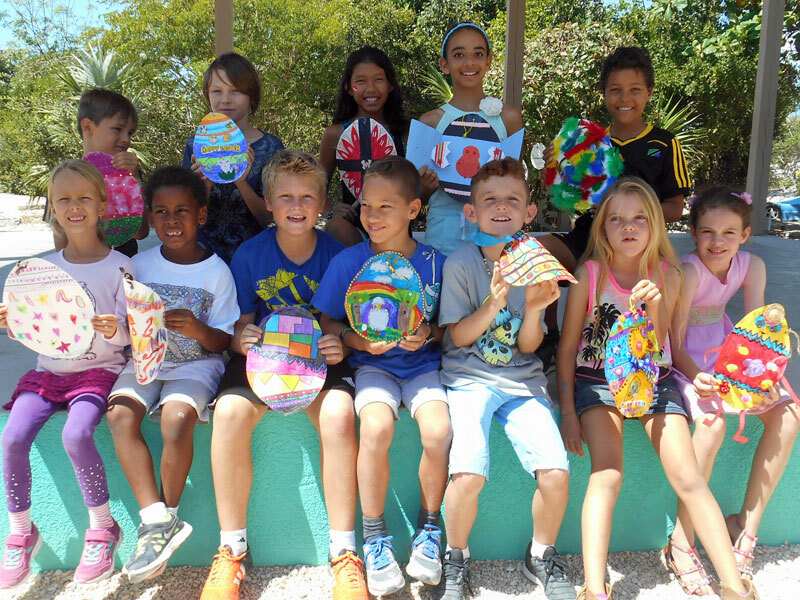 Congratulations to everyone who took part in our eggstra-special egg decorating competition. Wow, what amazing designs. They were eggsquisite! First and second prize winners where chosen from each age group from Year 1 – 6. Here they all are, eggshibiting their eggs. Bold colours, effort, creative ideas and attention to detail were eggsamined by the judge when making their eggstremely challenging choices. Well done to all of our prize winners – all of whom were naturally eggstatic! 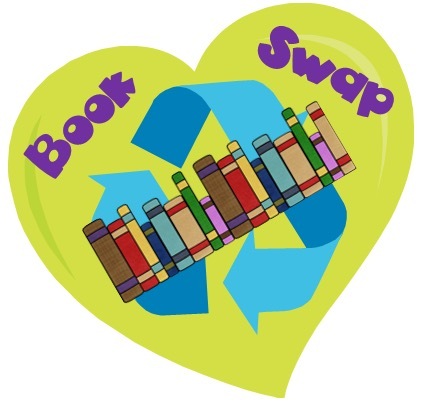 Following the success of last year’s event, the PTA and School Council are once again collaborating to organise a school-wide ‘World Book Day Book Swap’ on Thursday 3rd March. 1. Each child wanting to participate donates at least one book (in good condition or new) and brings this/these to the donation box in their class by Tuesday 1st March. 2. In return for the donated book/s, the child will receive a book token on which their name is recorded. A BIG thank you to all you creative parents and carers out there for participating so enthusiastically in our ‘Crazy Hair Day”; we can see now where the children get their ‘creativity’ from. Take a look at all the photos of our Year 1 – 6s! The School Council would like to say a HUGE Christmas time thank you to all of you who donated the many wonderful gifts during our Christmas Toy Drive. It was astounding to see the many gifts that you managed to donate. 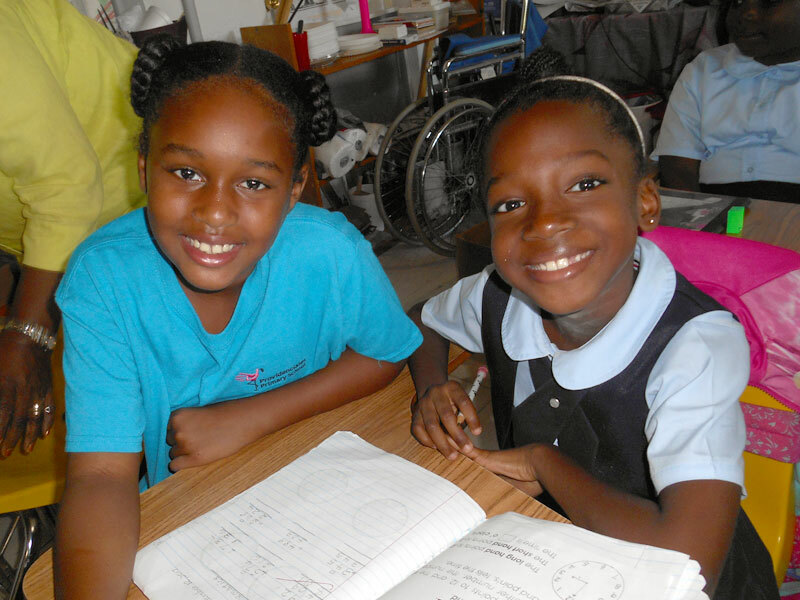 We’re sure that your generosity will be much appreciated by other children in our community. So once again the School Council found themselves helping load a truck full of your donated ‘goodies’ (last month it was books for the local library). Captain Miller, from the Salvation Army, was thankful for the gifts and will organise the distribution of them over the holiday season. Thank you also to Nicole, who kindly dropped off at the Salvation Army store a further car full of gifts that came in this morning. You still have time to donate if you missed the drop off – please now take your gifts directly to the store. 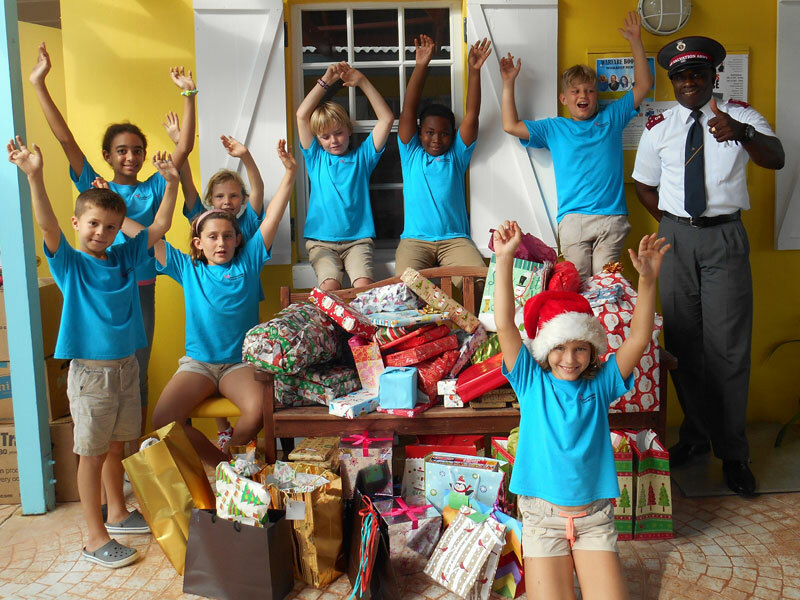 The Provo Primary School Council invites you to donate gently used toys, books or games to be re-distributed to other children on the island who are less fortunate. If you would like to donate a gift, then please… wrap it up in Christmas paper and attached a tag with the appropriate age and gender. 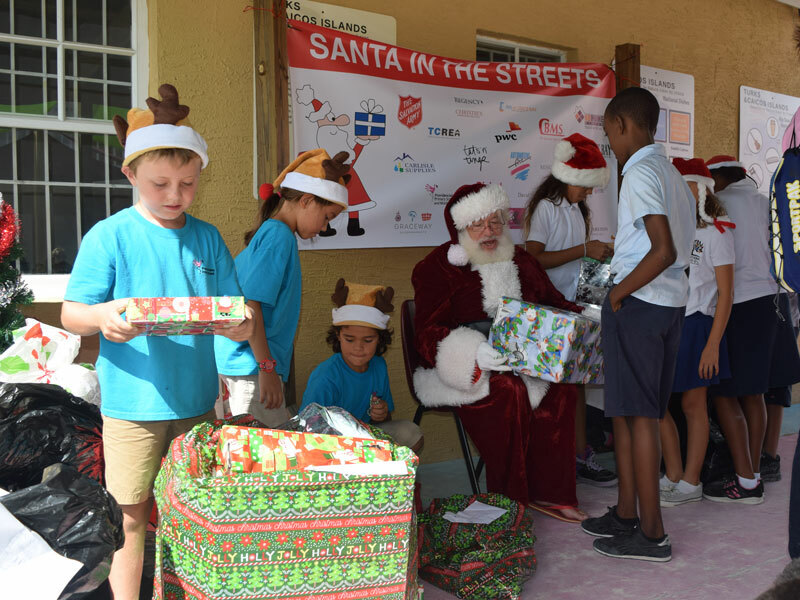 The gifts will be distributed to other children on the island through The Salvation Army. This week, the ‘muscle’ of the School Council passed on your generous book donations from the Book Drive to Ms. Joan from the Public Library Down Town. 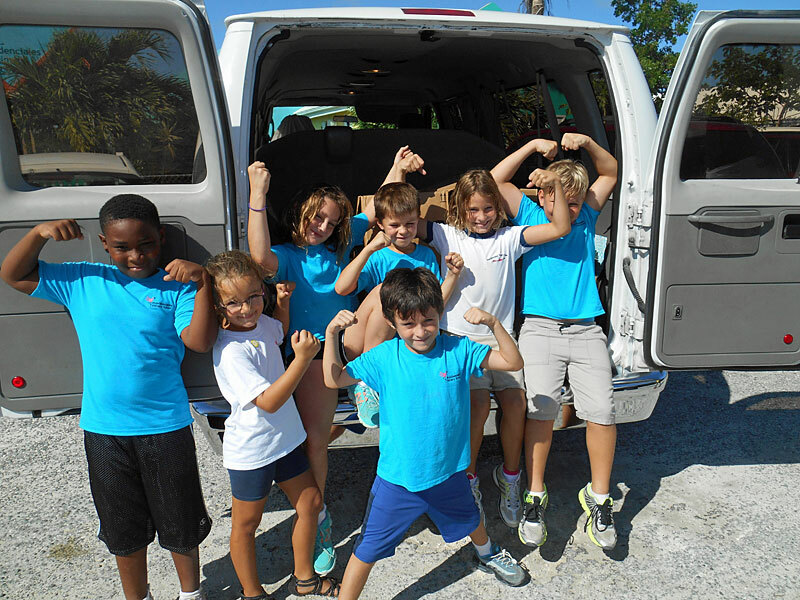 Working as a team, they carried and loaded boxes upon boxes of books into her van. While Ms. Joan was at the School, she was taken on a tour of our School Library by two of our School Councilors and was also shown around the school. Miss Joan was very excited by all that she saw. She was impressed by our selection of books and she just loved our computer ‘finger identification’ system that checks books in and out. We still have some funds that were raised from the first term’s ‘Dress Down Days’ last year that the Councilors decided will be used to buy resources to assist Ms. Joan in the running of her library. Ms. Joan left with a HUGE smile on her face and asked to pass on an even HUGER thank you to all of you who donated books to this cause. THANK YOU for making this happen and well done to the School Council for doing such a good job! The Provo Primary School Council would like to pass on a huge thank you to everyone who donated children’s books for the local Library, downtown! We will be sorting through the many books this week. Look out for our next post telling you all about our trip to the library, what we learnt and discovered about this local facility and how we plan to support and promote it.